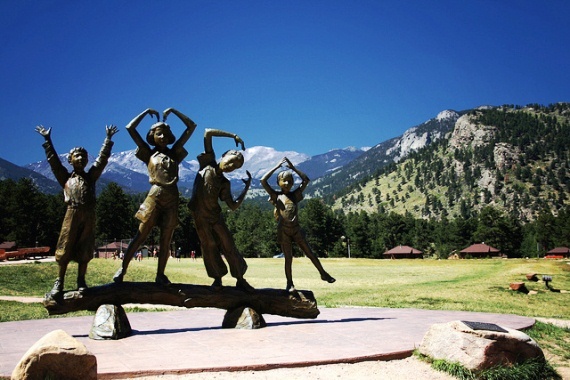 The YMCA of the Rockies is a frequent site for family reunions and corporate meetings. It underwent a major renovation recently and offers accommodations for groups up to 4,000. The Estes Park Center sits on 860 acres southwest of Estes park and offers cabins and lodge rooms, plus a range of recreational activities. It is located 8,010 feet above sea level. The YMCA has been in operation at this location since 1908. The Lula W. Dorsey Museum is on the grounds. The YMCA of the Rockies owns a second facility, the Snow Mountain Ranch, near Granby in Western Colorado.